Cryptocurrency mining has crippled the GPU market as of late. Now, the shortage is affecting more than just gamers, it could be hampering our search for extraterrestrial life. The ongoing GPU shortage and the problem of rising prices are not just affecting video gamers anymore. Now, the issue is hitting radio-astronomers. What links cryptocurrency miners, video gamers, and scientists looking for aliens? One thing — they all need powerful graphics cards. Is the GPU Crisis Coming to an end? Graphics card shipments from several makers based in Taiwan dropped by 40 percent in April. The reason? The same cryptocurrency mining trend that’s been driving GPU demand is now slowing down. Reportedly, some cryptocurrency mining farms have stopped purchasing GPUs and are awaiting the release of the Ethereum miner from Bitmain (ASIC). At just $800, this specialized ethereum miner could be the next step in the cryptomining industry. Rumors about Nvidia’s GPU dedicated to cryptocurrency mining have been circulating for months, which has also slowed down demand while miners wait for this GPU’s release. However, no official clarification around the new chip has yet been released. Read More: Why are There no Russian Graphics Cards? NVIDIA’s long-awaited “Next Generation Mainstream GPU” could also alleviate the crisis a bit by offering gamers a better alternative. The GPU is expected to make the subject of a conference at the upcoming Hot Chips show in August. The cause of this possible delay has something to do with the drop in GPU demand for cryptocurrency mining, which resulted in hundreds of thousands of chips being returned to Nvidia by one of its biggest Asian partners. Nvidia now has a rising inventory of GeForce 10-series GPUs to sell before it can put the successor chip on the market. The launch of a new series of graphics cards products could ease the shortage, and then prices would drop. In the meantime, however, the GPU crisis is still ongoing and its effects have far-reaching consequences larger than just restricting the graphics levels gamers can use. Now it’s the turn of radio-astronomers to complain about cryptocurrencies and the reason, again, is the GPU shortage caused by miners. Scientists listening day and night in hopes of catching alien broadcasts can’t find high-end GPUs to run their ground telescopes, which need substantial computing power. The crypto-craze is now hampering the efforts of SETI (Search for Extraterrestrial Intelligence) which now can’t expand its operations due to a lack of computer hardware. “We’d like to use the latest GPUs, and we can’t get ’em. That’s limiting our search for extra-terrestrials, to try to answer the question, ‘Are we alone? Is there anybody out there?’,” Dan Werthimer, chief scientist at SETI, told the BBC. SETI’s project “Breakthrough Listen” is the biggest alien search program ever. 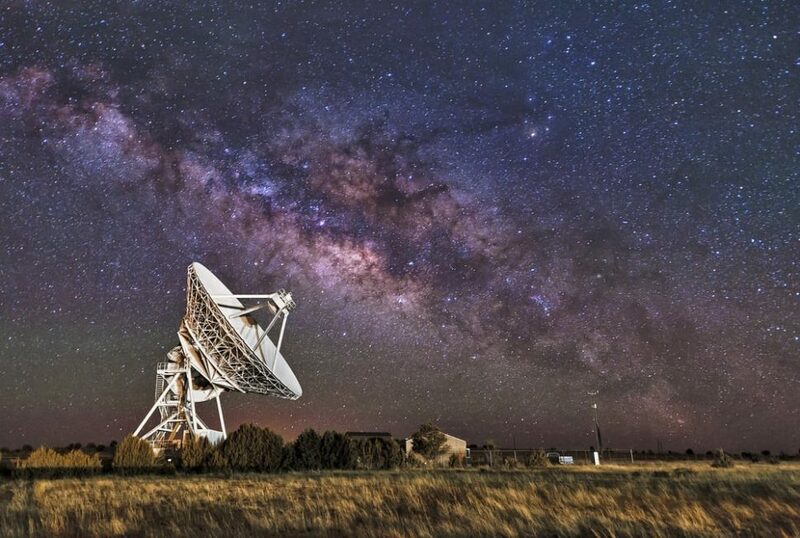 With around $100 million in funds and a 10-year research span, the project is dedicated to the search for extraterrestrial radio signals in the cosmos. The project aims to scan over 1,000,000 stars in the Milky Way and 100 neighboring galaxies looking for E.T radio signals. “Listen” researchers would like to ramp up their capabilities by adding computing power at two observatories, one in the States (Green Bank Observatory, West Virginia) and the other in Australia (Parkes). Unfortunately, high-end graphics cards have become a rare commodity. The GPU shortage is also getting in the way of other astronomy programs that need radio telescopes, like the HERA project (Hydrogen Epoch of Reionisation Array) looking to investigate the early Universe. The more powerful GPUs astronomers have, the more computer power they can use to survey radio frequencies and crunch more data, and the quicker the “finding” will be. The GPU crisis may end in the coming months, to gamers’ and astronomers’ relief, but meanwhile, you can do something. You can join SETI@home, a network of internet-based volunteers, and share your computer’s power with SETI scientists to help them analyze more data. If we have to choose between aliens and cryptocurrencies GPU-wise, which one would you pick? Hardly breaking news, that the search for intelligent life will result in a new discovery of intelligent life, created in machines here on earth. Aliens, if they ever come here/come here again.. will find everything run by Artificial life. The next highest life form will be too busy self medicating for Aliens to believe Human intelligence will evolve to a higher form and frankly, Aliens will look at Artificial Intelligence as nothing more than a virus threat. Funny it is so many Sci-fi followers always believed Aliens would be a threat as if Aliens could be interested in a lifeform intent on self destruction so badly that the lifeform even invented a machine intelligence to help the process along.